RIO DE JANEIRO, BRAZIL (11/JUN/2013.) - The Brazilian government proposed to Russia, one of the initiators of the international peace conference on Syria to allow their participation and that of the other countries "to contribute to consensus " announced on Tuesday Foreign Minister Antonio Patriota. 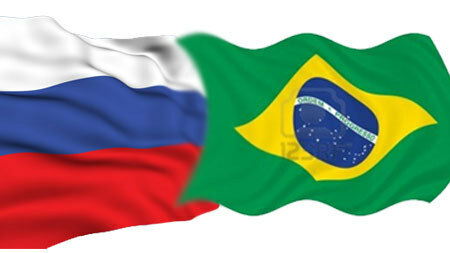 "Brazil believes it would be worthwhile to examine the possibility of including other countries, beyond the five permanent countries (Security Council of the UN) and Syria's neighbors, who have shown interest in the subject and ability to contribute to reaching a consensus " the official said after a meeting with his Russian counterpart Sergey Lavrov. "The basis of this support to the initiative entails the understanding that there is no military solution," said Patriota, who criticized that, contrary to the mandate of the Geneva-1, "there are countries that are working directly and indirectly in the militarization of the situation”. The initiative to organize this conference, called Geneva 2, announced a few weeks ago the United States and Russia in order to find a political solution to the conflict between the Syrian regime and the opposition. Lavrov said the "balanced position" of Brazil "would only add " to the dialogue process, but made clear that for now the "main issue" that must be solved by the international members of the conference is the Russian invitation to Iran and Egypt. "Our partners are opposed to this type of representation at the conference" mainly that of Iran, "on the grounds that they would not have a constructive proposal," he said. On the June 25, is scheduled in Geneva a preparatory meeting for the international conference. The Syrian civil war has left some 94,000 dead since March 2011. Lavrov, who visited Buenos Aires before, revised with Patriot the bilateral agenda, which included economic, cultural and energy issues.